Nowadays, technology has entered into every walk of our life, so the class management can be done by using the software. Classroom management software assists in the creation of class environment meant for the better learning experience of students. A classroom management software can be used by schools or learning centres or any education industry to increase classroom engagement, motivate students and improve students behaviour and progress. You can eliminate distraction, monitor classroom activities, enhance knowledge sharing, and more with classroom management software. There are many classroom management software out there and it might be confusing for you to choose the right one for your school. 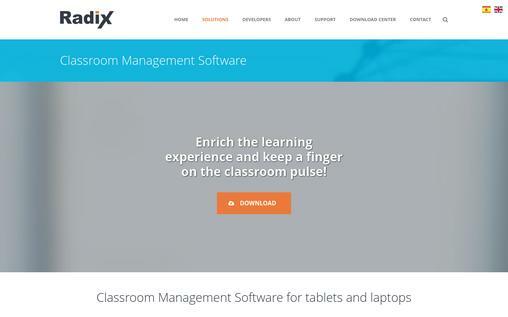 So to help you out here we have a list of 10 of the best classroom management software to choose from. 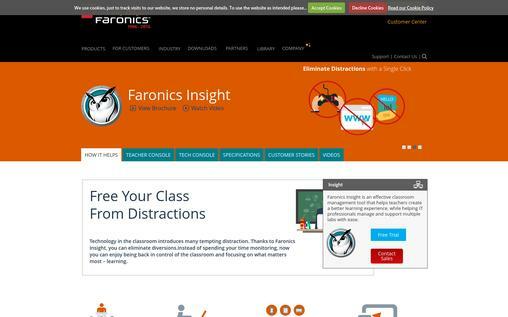 Faronics is an effective and feature-rich classroom management software that helps teachers create a better learning experience while helping the IT professionals to easily manage and support multiple labs. You can easily manage a computer-based learning environment with the help of Faronics, as it helps to keep the entire inventory up-to-date. Your students can take help directly with the teacher with the help of this software. With the help of classroom monitoring feature see what the students are doing. You can block students’ access to USB, CD/DVD drives and web browsing with a single click. Manage multiple labs, schools, and networks with central management. Educate, monitor, assist and communicate with the entire class from one central computer. Share the teacher’s screen with students or lets the student share their screen with other students. The student and teacher can have one on one discussion with the help of Faronics interface without interrupting the class. The power status of all the connected devices can be monitored, the power scheme can be modified, and you are notified if the power on any devices runs low. 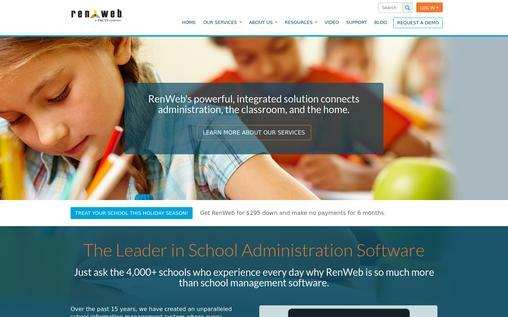 RenWeb provides a comprehensive, robust solution to manage your classroom. It is one of the most popular school administration software for private and faith-based schools. It allows the schools to record all the contacts of the student along with their parent’s information and demographics are systematically in the database for better organization of the information. It integrates with an online application and online enrollment for admissions. The group email tool lets you build the group of students, parents, and others based on grade, level, and others. The online grade book automatically creates an electronic portfolio of your students, provide web tests, record grades, assign and collect homework, and more. The secure ParentsWeb portal lets the parents view the student’s records, announcements, calendar, and more. Teachers can take attendance and immediately report it to the administration. It can be taken twice per day, per period, and more according to the requirement. It offers a suite of mobile and tablet friendly tools to access it anytime, anywhere. The starting price of the software is $295 for six months. 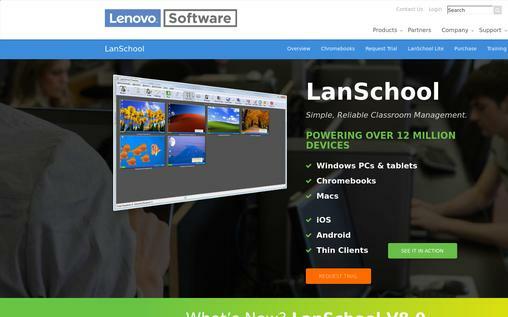 LanSchool is a classroom management software with plenty of useful features. It has a simple interface and all the necessary functions can be quickly accessed via a simple interface. Your valuable time can be saved because of this software. You don’t need to go and collect assignments. Your students can send and you can collect the assignments instantly with the help of LanSchool. Teachers can use the thumbnail view to see each student’s screen for easily monitoring the student activities. The teacher can instantly broadcast their screen to the students for better teaching. Teachers can communicate with the students through audio chat and messages. Also, they can chat with an individual or group of students for the quick answering of the questions. You can quickly provide polls, quizzes, and share instant results. All the students’ screen can be blacked out for grabbing the attention, and you can also restrict the access to specific website or application. You can develop customized tests and evaluate the tests in real time. The grade can be exported to the concerned people. The assessment can be taken easily and securely with Jamf; you can focus on your students individually, in a group, or you can also shift your focus on the whole classroom with just a couple of clicks. Teachers can easily find all the required books from the iBook store and distribute it among the students. You can prompt your students to share their screen on Apple TV, and you can showcase their work by eliminating the additional time of student to initiate AirPlay. 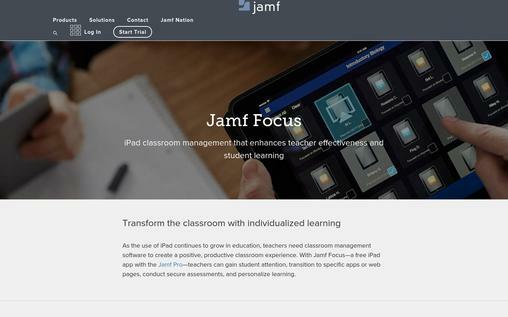 You can view the iPad battery level of your students in the classroom with Jamf. Reset lost or forgotten passwords easily in case a student is locked out of their iPad. Choose between Jamf Now and Jamf Pro. The starting price is $2/month. 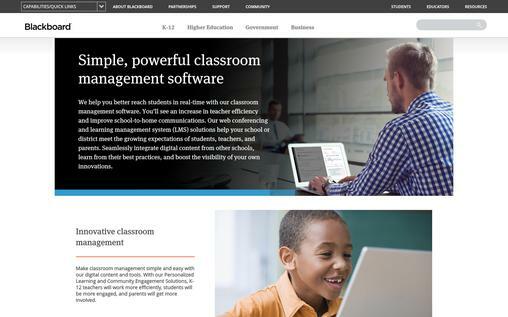 If you want simple, powerful, and innovative classroom management software, then Blackboard is one of them. It helps you to reach your students in real-time. Teachers can easily view the course details before starting the class with ultra course view. Creating an assessment is pretty easy with Blackboard, and students can submit it from their screen without any difficulty . Teachers can quickly start the discussion on the subject matter, organize the discussion, and students can easily view the recent discussions. You can easily create a learning profile, add important information, and view all the people who are engaged in that particular course. Teacher and student can have personalized communication with a messaging tool, or an instructor can also send the group message and send course announcements. The comprehensive report of the students like their assignments, performance, grade, and more can be viewed by the instructor for improving their performance. The browser-based web conference allows you to connect with your students anytime, and your students don’t need to install anything to participate in a web conference. 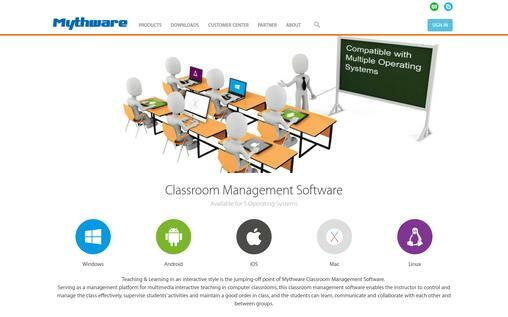 Mythware is the classroom management software that allows the instructor to remain in total control of the classroom. You can supervise the students, communicate with your students, and enhance collaborative learning with Mythware. It is compatible with all major operating systems like Windows, Android, iOS, and Linux. You can monitor and control your student’s activities by monitoring student’s screen, launching the necessary app and closing unnecessary app on the student’s screen, and more. Teachers can distribute the files to all students, and students can send the required files to the teacher without any difficulty. Teachers can easily conduct the survey among the students, and the result is instantly generated in the form of bar graph. Quiz can be easily conducted by the teacher, and the results of the quiz can be imported in HTML file. The interactive whiteboard lets you demonstrate the things you want to share by allowing you to write and draw on the whiteboard and your students can also share with their teacher on a whiteboard. 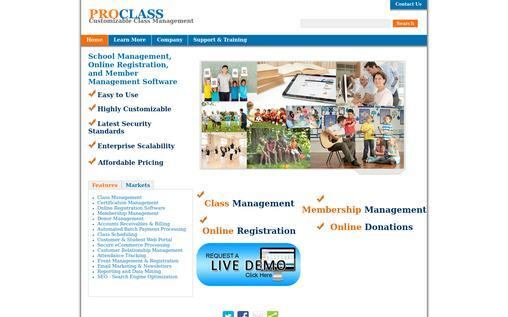 PROCLASS provides all the necessary tools for class management. It is a secure and easy-to-use software for continuing education providers, studios, and non-profits. Its intuitive dashboard allows you to access its features easily. It is very easy to accept student online via detailed and dedicated customer portal. The students can easily access and edit their personal details through the customer portal. You can track attendance and history of your attendees with PROCLASS. You can restrict child or adult registration. The location and classroom can be easily assigned to the students. The record of credit and certification can be viewed and tracked. Your students can be assigned to multiple teachers for an assignment. The course materials of the class can be viewed in PROCLASS for fast and quick creation of the class. Radix is an advanced class management software that can utilize your student’s laptop and tablet by transforming it into a learning device. Teachers can broadcast their screen to the student’s device for a better presentation. A specific student’s screen can also be selected for answering the queries of the students. You can have full control of your student’s screen, which won’t allow your students to be distracted from the presentation. Your student’s screen can be viewed by you in a thumbnail view. The students attending the class can be viewed and saved in the software. All the connected students and teachers can browse e-books and websites together with the help of this software. The teacher can send the assignments and files to the students, and students can submit it to their teacher instantly. The raise hand function allows the student to get the special attention whenever there is confusion. The teacher can choose to view only selected apps on the devices by blocking all the unnecessary software. The teacher can run the survey, quiz, and get instant results. 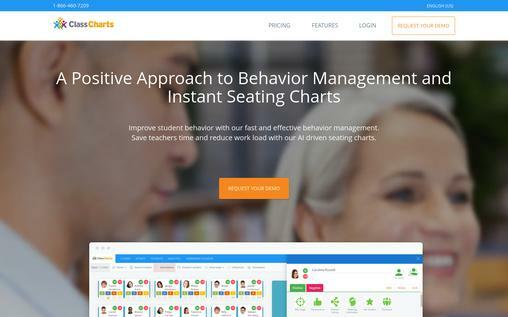 ClassCharts is class management software developed by the group of experienced teachers. Teachers can manage their student’s behavior. You can award the students with merits with a couple of clicks, and attach detentions for the misbehavior of the students. It can even be notified to the parents via email or app. The artificial intelligence of the software automatically analyzes the behavior in various seat plans to set the correct seat plan for optimum performance. The real-time behavior reports are automatically generated by the software to see the progress and decline of the student’s performance. It can be reported to each concerned staff. You can easily create and rearrange the best seat plans for the students. The teacher and parents can share specific information and discuss on it for better teacher-parent interaction. The powerful data wall feature lets you select specific students, analyze their performance, and share it with the concerned authorities. You can easily set homework in a few minutes and embed your homework calendar in your school’s website so parents and students are always aware of expectations. Also, there are iOS and Android app for easy share. The price of the software starts at $295/year. The final classroom management software in the list is Net Control, and it offers plenty of exclusive features for efficient class management. The presentation task becomes quite easier with Net Control, as teachers can broadcast their screen to the students, and teachers may also choose to turn on voice and add images. Teachers can also monitor the students in real-time by viewing their computer. The communication between students and teachers can be done via different mediums like chat, voice, a graphic message, and more. Teachers can run an instant quiz, polling, and more. The websites and apps can be restricted by the teacher for avoiding distraction. Send work documents to students and collect them back when required with sorting by folders. You can grade the work of the students, award them and use the built-in planner for lesson planning. You can restrict the students from access to undesirable websites and application. It allows you to do co-working where you can play multimedia files together with students, open necessary applications and documents on students computer and browse websites synchronously. 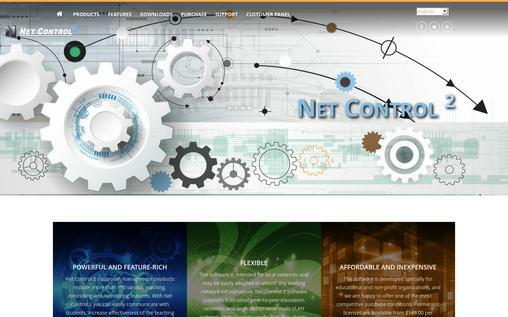 You have a variety of options to choose from, and they are NetControl 2 Small Class, NetControl 2 Class, Unlimited License, and Net Control Pro. The starting price is $169. Classroom management software can provide teachers and parents with deeper insights into student’s progress and behaviour. It’s very helpful to engage students in the learning process. Also, the classroom management software can work alongside with your school’s learning management system and student information system.